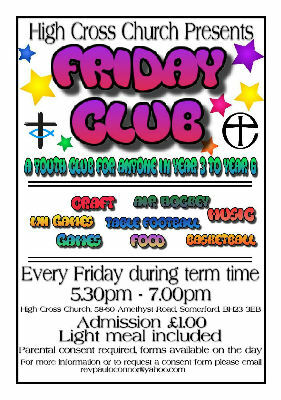 Friday Club is a fun, active and friendly children's group who meet every Friday evening during term times. The evenings always start with an opening activity and a group game. The children then can choose any activity from craft, sport, Wii or board games. We close each session by sitting together for a light meal - favourites include pizzas and hotdogs!